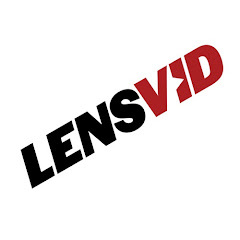 This will be our sixth year where we have been monitoring the photography industry here on LensVid, and after a year big changes in 2018 where two of the major players introduced new full-frame mirrorless models it will be extremely interesting to see how much this actually affected the market as a whole. As we have done each time before, we have updated our camera industry infographics to include the information CIPA – the camera and Image Products Association, recently published about the camera industry in 2018. We shall start with the number of cameras of all types produced worldwide. 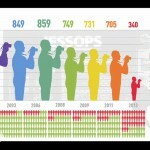 2010 was the top year ever for the camera industry with 121 million cameras that were produced, since than we have seen a steady decline with a huge drop in 2013 to only 61 million cameras – basically half, and in 2015 we saw another cut of (almost) half to only 35 million cameras followed by another huge drop to only 23 million (35% drop – year-to-year). 2017 was the first year since 2010 where we saw an increase in the number of cameras produced to 25 million units – just over 8% increase, but this might have been just a temporary thing as the numbers for 2018 show another big drop to only 19 million – the lowest number since 2001! When comparing the number of non-interchangeable or “compact” cameras with that of interchangeable cameras or both DSLR and mirrorless cameras, we see for the first time ever that more interchangeable lens cameras are being sold worldwide than non-interchangeable cameras. This signifies a true shift in the industry – one which is clearly the result of the smartphone camera market being as strong as it is. When looking at the interchangeable lens camera market, we can see the continuation of a trend – DSLR sales are shrinking – in 2018 by about 12%, while mirrorless sales are growing – but very slowly or about 2% more than 2017. 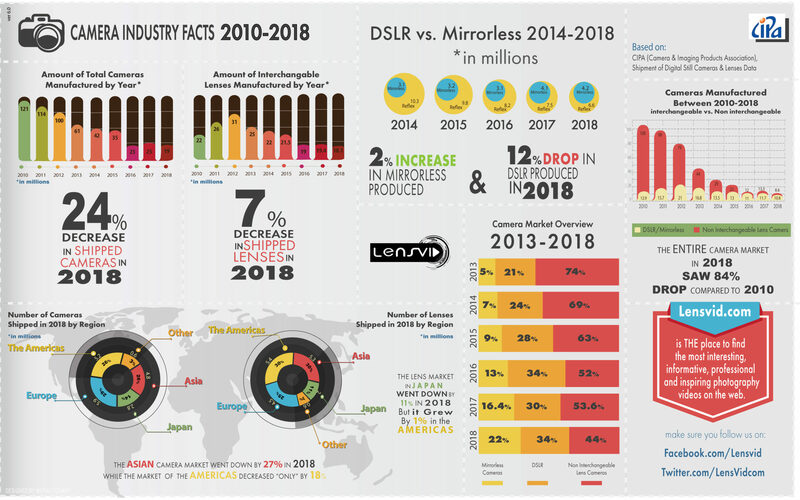 Looking at the bigger picture we can see that compact cameras went down to under 50% of the total digital camera market for the first time ever while the reflex gain about 4% and the mirrorless share of the market increased by 6%. 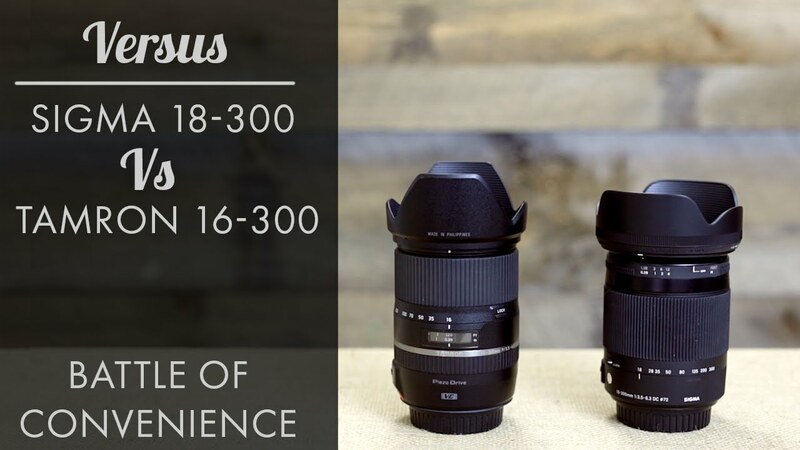 As for lenses, the market almost sharked in 2018 by about 7% to just over 18 million units sold. Looking at the data by region it seems that that the camera market in Asia shrank the most in 2018 by as much as 27% compared to 2017 while the market in the Americas “only” suffered a 16% drop in that time. Interestingly the lens market in the Americas actually grew by about 1% while almost anywhere else in the world sales dropped by anywhere from 6-11%. In 2016 we predicted that it is likely that in 2017 we will see the global camera market go below 20 million units. Well, we were wrong, but only by a year. 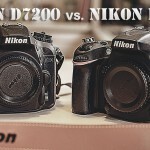 Despite what the major manufacturers were hoping – the release of new full-frame mirrorless models by Canon and Nikon did not affect sales in a meaningful enough way. 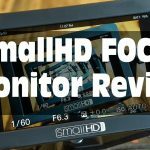 To be fair these models were released late in the year and mirrorless camera sales in the last three month of 2018 did increase slightly compared to 2017 (by about 2-3%) and as more advanced models will be released during 2019 we might see an even bigger increase in the sales of mirrorless cameras. However, the sheer number of cameras and lenses sold does not tell us is the full story. We also need to talk about how much money we spent on cameras and lenses in 2018. This is actually the first time we are looking at this piece of information which is also part of the data CIPA collects and what we have found is pretty interesting. In 2018 the number of cameras sold went down as we have mentioned by about 24% compared to the previous year – however the amount of money spent worldwide on these far fewer cameras only went down by 4.5% compared to 2017 and even more interestingly while in 2018 we purchased almost 7% fewer lenses than the year before – we spent 5% more money on buying them. The bottom line here is simple if this trend continues the photography market will become increasingly smaller and ever more expensive. 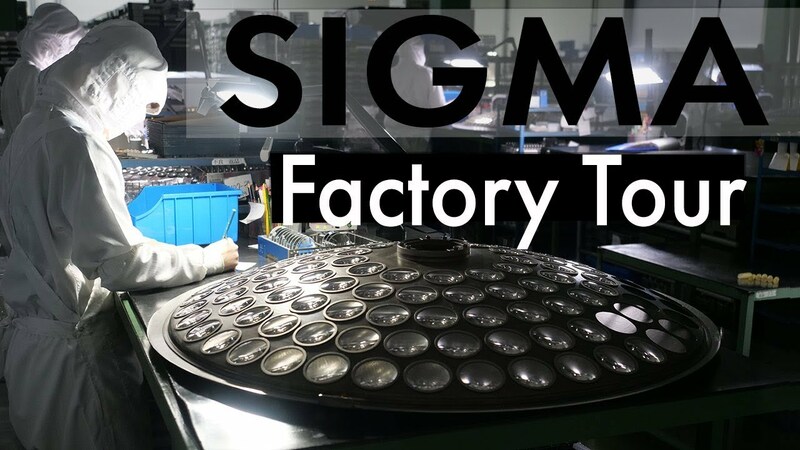 Think about this as a vicious circle – manufacturers need more money to develop more advanced technologies, but since sales continue to shrink they are forced to raise prices which in turn make it harder for people to buy new gear making the market even smaller and so on and so forth. When will this cycle end? 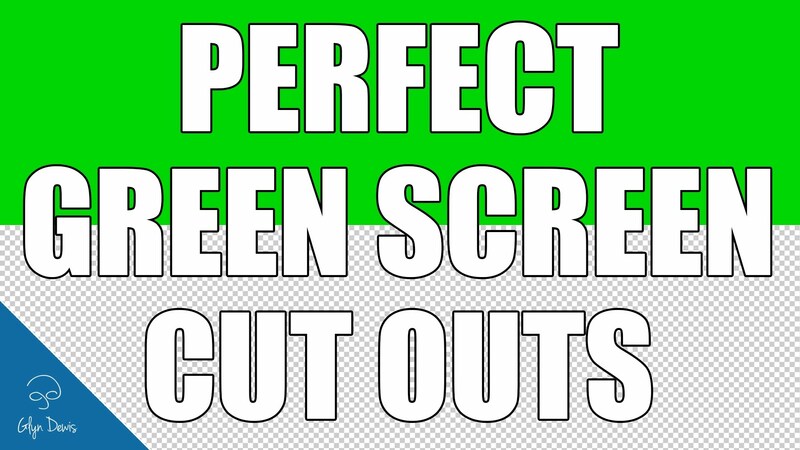 well, possibly only when the market stabilizes in terms of yearly sales. 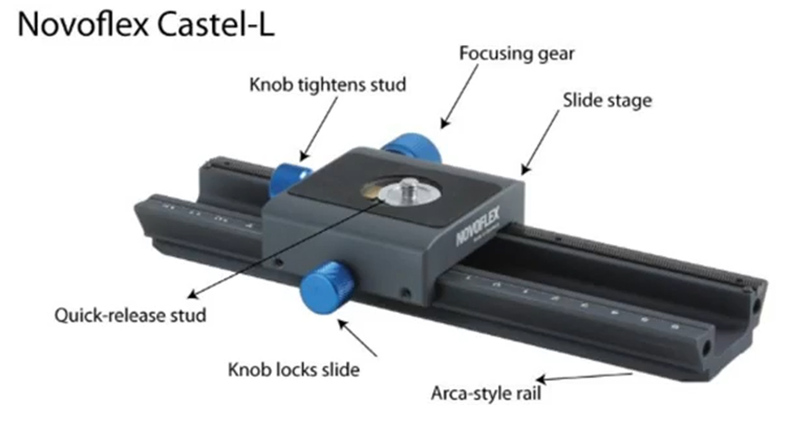 But at under 20 million cameras sold per year, this just might not be economical for some of the manufacturers to sustain with ever-increasing R&D costs. As always, If you have a different perspective on the data that we have presented here or what might happen to the photography industry in the next few years, let us know in the comments. 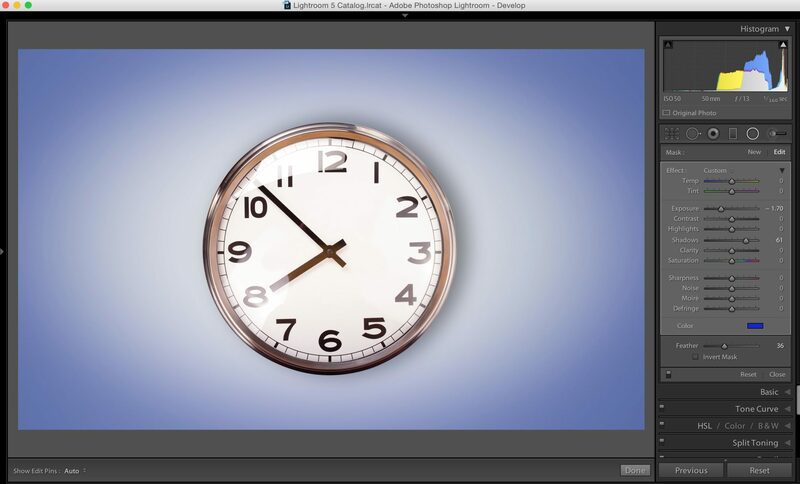 What Happened to the Photography Industry in 2013? What Happened to the Photography Industry in 2014? What Happened to the Photography Industry in 2015? What Happened to the Photography Industry in 2017? 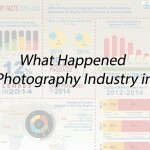 LensVid Exclusive: What Happened to the Photography Industry in 2014? 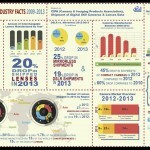 LensVid Exclusive: What Happened to the Photography Industry in 2013? 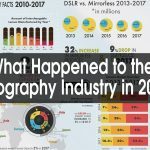 LensVid Exclusive: What Happened to the Photography Industry in 2016? 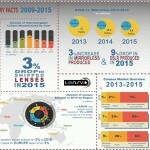 LensVid Exclusive: What Happened to the Photography Industry in 2015?